Are you considering graduate studies? Although it might feel like you aren’t even close to completing your undergraduate degree, it really never is too early to start preparing yourself for that next big step in your education. As a psychology student, I had to start thinking about building up my resume for graduate studies before I had even started my third year. Grad school applications in your final year of studies can be overwhelming, but there are plenty of ways to start preparing for this next chapter of your life early on to make this process as seamless as possible. Do I Have to Write Any Standardized Tests? The last thing you want is to be applying to graduate studies programs, only to see schools asking you for test results you don’t have. Many graduate programs require you to write a standardized test that is administered independently from your regular university courses. These tests allow for schools to have a general test of your knowledge in your field that they can use to compare applicants in one uniform way. For example, medical school students must write the Medical College Admission Test (MCAT). As a psychology major, I will have to write the Graduate Record Examination (GRE). These tests often demand a great deal of studying and preparation. It is recommended that I spend about six months (yes, months!) studying for my GRE. 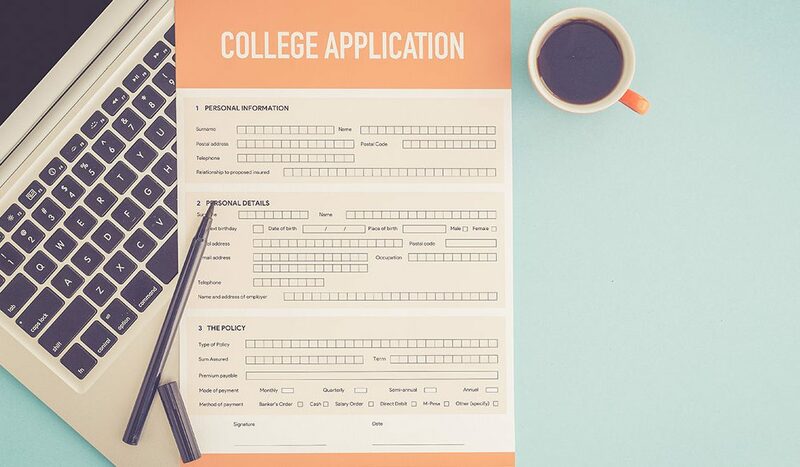 Make sure to research the schools you are considering applying to ahead of time in order to see if they require you to submit your score on a standardized test for consideration to their program. This way, you can make sure you’re giving yourself enough time to study for and ace that test! Do I Have Valuable References? It’s quite easy to show up to a class, listen to what the professor has to teach you, and then leave. However, this isn’t the type of student that grad schools are looking for. Many graduate programs require for you to have 1-3 academic references. Therefore, it’s never too early to start making valuable, deep connections with your instructors that could potentially write you a well-informed reference letter. You can do this by asking your professor more about course content after class, continually participating in class, and volunteering to help with research or projects that they supervise. After all, university is also about making valuable working relationships and connections. Do I Have All of the Required Courses for My Program? I’m a little guilty of neglecting this tip myself. I recently was researching the specific graduate programs I plan to apply to when I realized that Educational Psychology is a recommended course for me. Luckily, I still have a number of terms to fit this class into my schedule. But what if I had only found this valuable information in my final year of studies? My best advice is to know your future program requirements well to avoid accidentally closing any doors for yourself later on. Do I Have a Good Resume? At this point in your career, the bigger the resume, the better! It is likely that everyone applying to graduate school has good grades and a few convincing references too. So what sets you apart from everyone else? Experience, experience, experience! This doesn’t always have to look like a few part-time jobs here and there or the completion of a degree with co-op. For example, I need research experience in order to be seriously considered for a psychology graduate degree. To prepare for this, I became a research assistant at a lab on campus at the beginning of my third year. Most schools have similar research opportunities on campus posted on your faculty website, all you have to do is look for them! This is not only a great experience during your undergraduate degree, but makes you a competitive graduate school applicant. Applying to graduate school is a big step in your career, and you want to make sure you’re prepared to take that step. If you’re like me, this entire process is equally exciting and terrifying for you. But with adequate preparation, you’ll be more than ready for when application season rolls around. May the odds be ever in your favour!